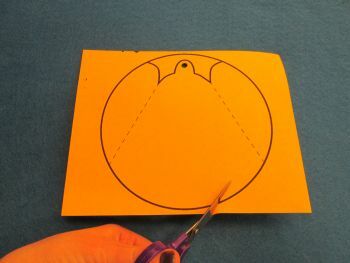 Cut out the bell pattern, cutting only on the solid black lines. 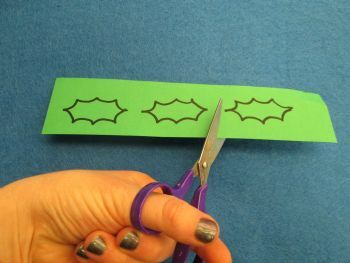 Do not cut on the dashed fold lines. 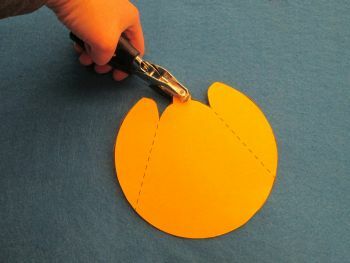 Cut out the 3 green leaves. 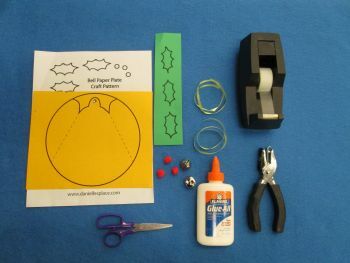 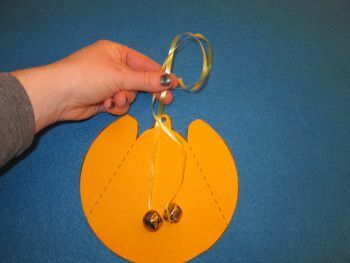 Use hole puncher to make a hole at the top of the bell. 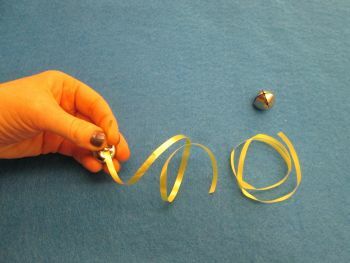 Tie one bell onto one end of each ribbon. 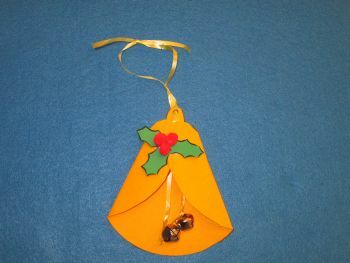 Hold the ribbons together with the bells hanging down and lay them on top of the bell. 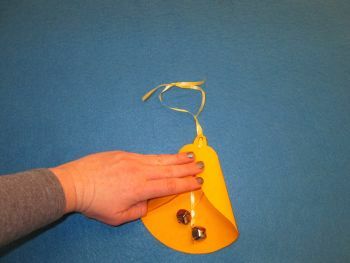 Adjust the bells so they are hitting the lower middle of the bell with the top of the ribbons hanging out of the top of the bell’s hole. 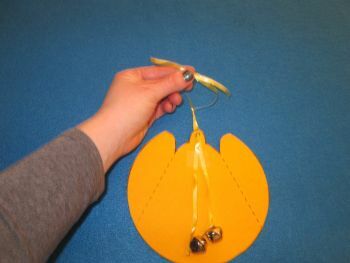 Tape the ribbons down using a small piece of tape underneath the bell’s hole. 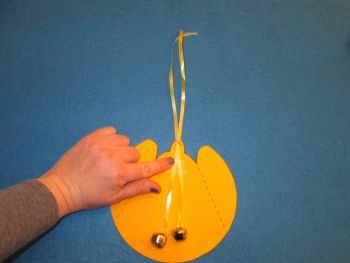 Tie the 2 ribbons together right above the hole of the bell and also near the tops of the 2 ribbons, creating a hanger. 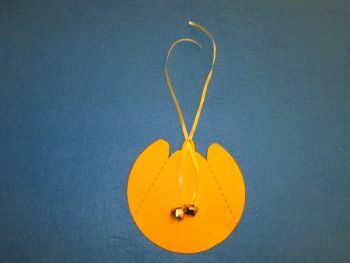 Using the dashed lines, fold over each side of the bell and use a small piece of tape to hold the sides together. 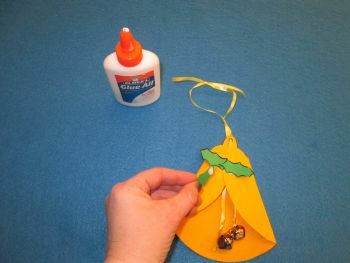 Glue on the 3 leaves and 3 pom pom “berries” over that piece of tape.